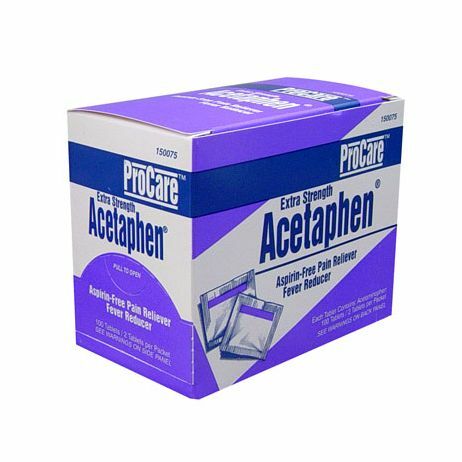 ProCare™ Extra Strength Acetaphen (acetaminophen) Available in 100 & 250 count pacakages Our full line of top quality personal relief items. All ProCare™ relief products are formulated to be non-drowsy, keeping employees alert, safe and productive on the job. 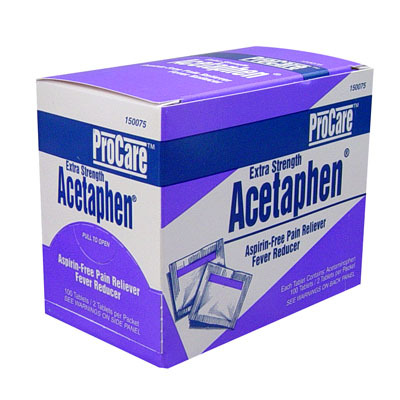 Extra Strength Acetaphen relieves headaches, muscular aches, cramps and fever. Aspirin free. Active ingredient acetaminophen, 500 mg.